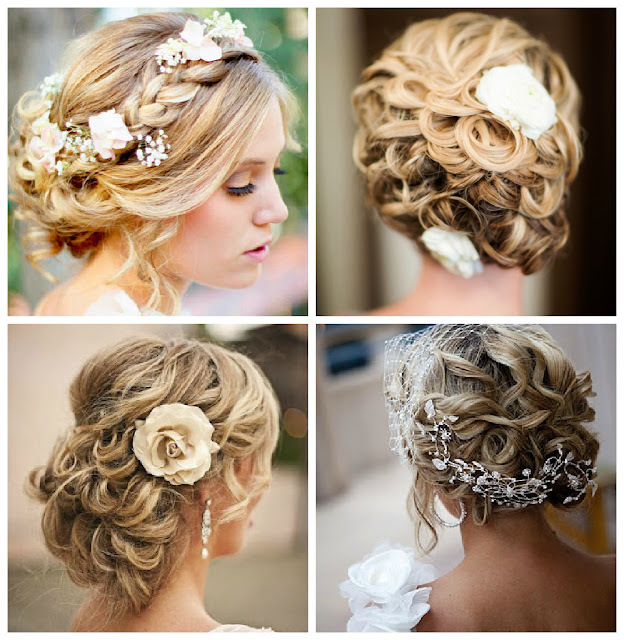 Love is Everywhere: Wedding Hairstyle Ideas! I'm quite indecisive and since I'm not sure how long my hair will be by August, I've been scoping out many up-do hairstyles for the big day. Originally, plan was to have it down even though our Wedding is mid August and it most likely will be pretty hot (I'd like to think of it as luke warm). These are so beautiful and I love the little extras in the hair! Right now my favorite is the top left!